Are you, or someone you know, planning a challenging remote cabin build in the coming months? For yourself or a client? If so, want to share your build with our viewers?! The Last Frontier connotes a lot of things. Vast. Wild. Frozen. Unpredictable. Building remotely in Alaska connotes another: not easy. Those inspired to build in the middle of nowhere in ALASKA possess mad MacGyver-like skills, run on adrenalin and omit cannot from their vocabulary. 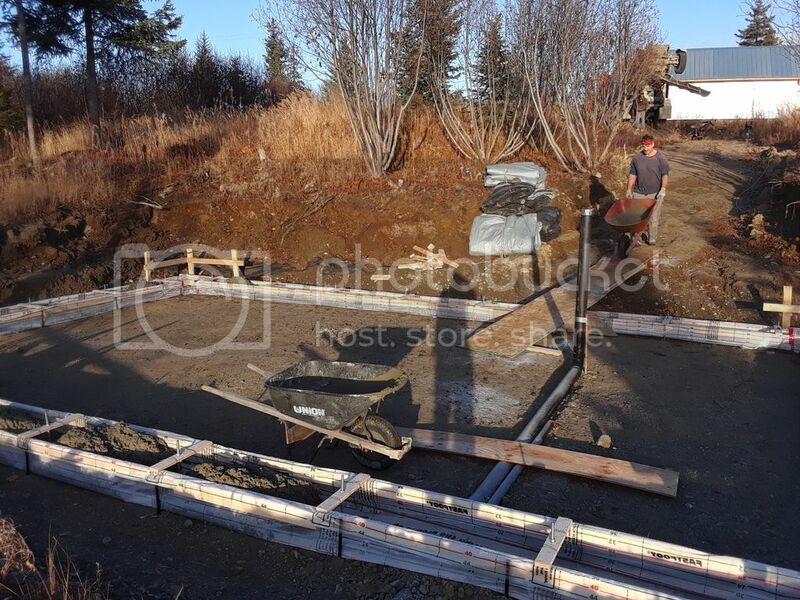 Dorsey Pictures is presently casting build teams with extraordinary projects that are about to break ground or permafrost in the coming months. Build projects must be complete, inside and out, no later than late May, 2019. In the email please include FULL contact information (phone and email) a little information about your build (schedule, budget, GPS coordinates) and some photos of your team and the build site. Build projects must be complete, inside and out, no later than late May, 2019. "Alaska complete" (bare OSB exterior, blue tarp roof, pink insulation interior, no water/power), or "complete complete"? Cdubbin, builds need to be complete, complete. I think Michael Strahan is helping with that. Oh my God now you too are gonna starve to death if you don't get your winter meat...!!! I am currently in the process of planning a cabin build on one of my remote properties, however, I'm skeptical of the time constraints of the show. May and June are prime building times. Kind of a last minute ask to be looking for filming opportunities. I'm probably like most Alaskan builders and plan on a multi year build. I will be hauling construction materials out to the site by snow machine this spring and plan on starting the foundation this spring. I'm fairly certain I will get the cabin roughed in this summer. But a lot needs to happen to get this done. I need major access improvements, ie. a much better trail from the river to the cabin site as well as land clearing. I hope you find your guy, but a quickie cabin build is not really the "Alaskan" way, especially when you are really building remote. My new project is practically in town compared to my last one. However, its still 6-7mi from the road by snowmachine and about the same by boat. My cabin on the Kantishna was 42mi from Nenana by snowmachine or 110mi by boat. Thank you for your reply, KantishnaCabin. Unlike other seasons of the show, season 10, is the first to include winter footage. Because of set air dates, we cannot film later than end of May. If we get another season renewal, I will be looking for builds happening in the summer. What was your build timeline for your Kantishna build? I, probably like most recreational cabin owners, am just doing this out of pocket and for fun. I have no firm pan yet and I'm still roughing out the design. I'd like to get started this spring, however circumstances can change. Ideally the goal is to end up with a recreational cabin that my whole family can use. Including the ladies in my life. My current cabin is way to small and way to far out in the sticks to be a useful weekend retreat. My new cabin we plan to build on some land we have owned for a while on the Big Su, its a lot closer to town and has a great view of Denali. If the producers can kick in $375,000.00 (Up Front) I can go in the ground next week. Or what ever schedule works for the producers. See piss poor planning on the producers part, elevates project costs. I can go in the ground next week. I guess I set myself up for that one........good punch line. Thanks for the giggle. I've never seen this show, so I guess I'm a bit in the dark. Do most of the people on the show take a couple of months off from work to build a cabin? Or is it mostly contracted out projects? That right there is why you DON'T wanna do it...!!! Because "Reality TV" [sic] has done so much good in portraying the Real Alaska.